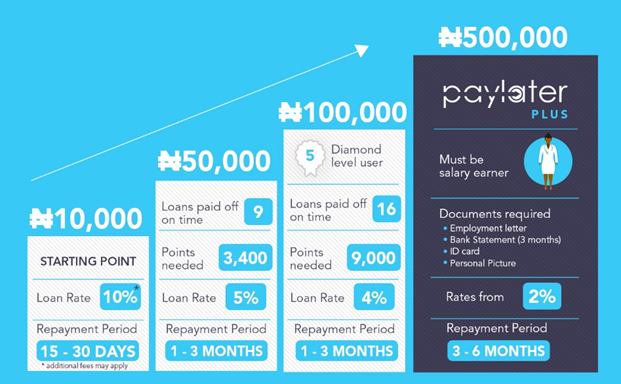 PAYLATER (loans available to all) & PAYLATER PLUS (loans for salary earners). We’ll discuss both in a bit more detail below, so you can decide which best fits your needs. With Paylater, getting funds have never been easier. Whether you’re a student, business owner, salary earner, or just in between jobs and in need of funds, Paylater can help meet any urgent cash needs you have. Are you a salary earner? Have you been in your current employment for at least a year? Do you earn a consistent monthly income? If you’ve answered yes to all these questions, then why waste weeks applying for a traditional loan when you can be approved and receive funds in no time at all? With Paylater Plus, say goodbye to long and inefficient processes and get a loan of up to NGN500,000 with complete convenience. Cut out the middleman: Paylater Plus puts the power in your hands, not a sales agent. 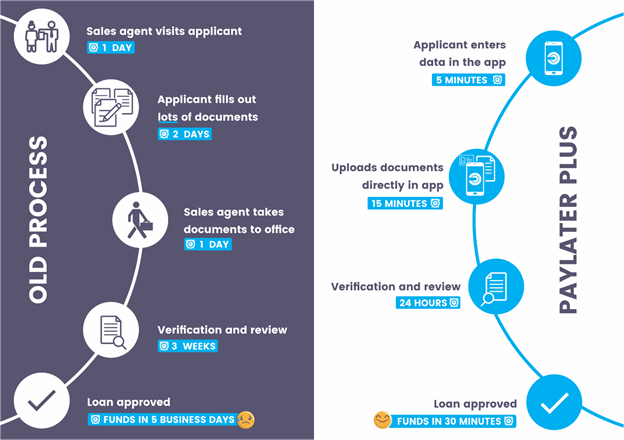 Paylater Plus requires additional documents to verify the information provided on your application. 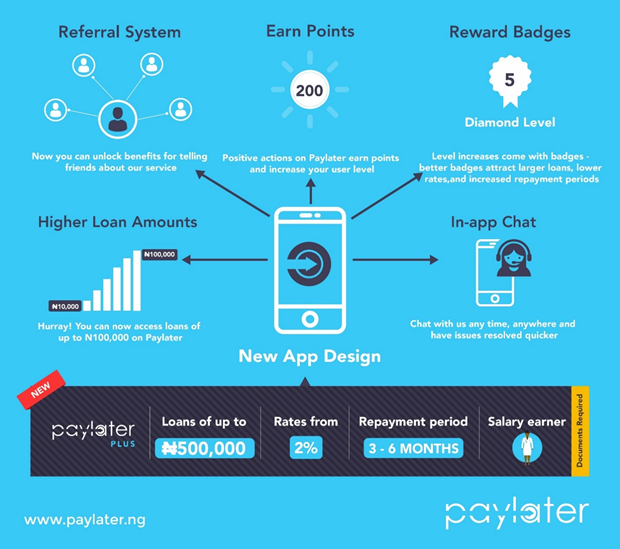 If you are asked to provide documents, you may submit by uploading directly in the app, or send an email to documents@paylater.ng with the below documents attached for review. 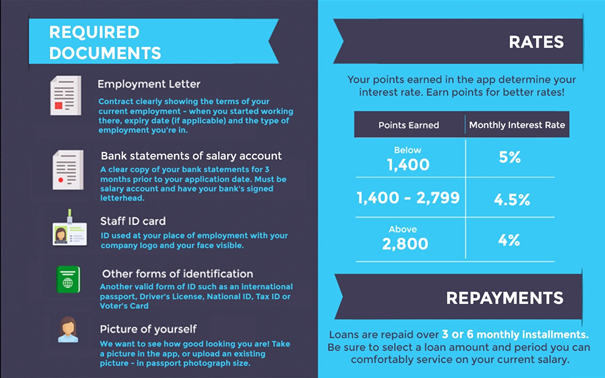 Our rates are competitive and vary depending on how many points you have earned, with loan repayments spread out over monthly installments.